When my 16-year-old grandson started talking about being on the Remotely Operated Vehicle (ROV) team a couple of years ago, I knew he was referring to robotics of some sort. It was certainly not an area of expertise for this Grandmother librarian, so I didn’t realize the full impact of what he was explaining. Two years later, I have come to realize what a tremendous influence this activity has on high school, community college, and university students from all over the world. School, public and academic libraries are in a position to provide information and support for programs such as the one I learned about through my grandson’s participation: The Marine Advanced Technology Education (MATE) Center ROV competition. 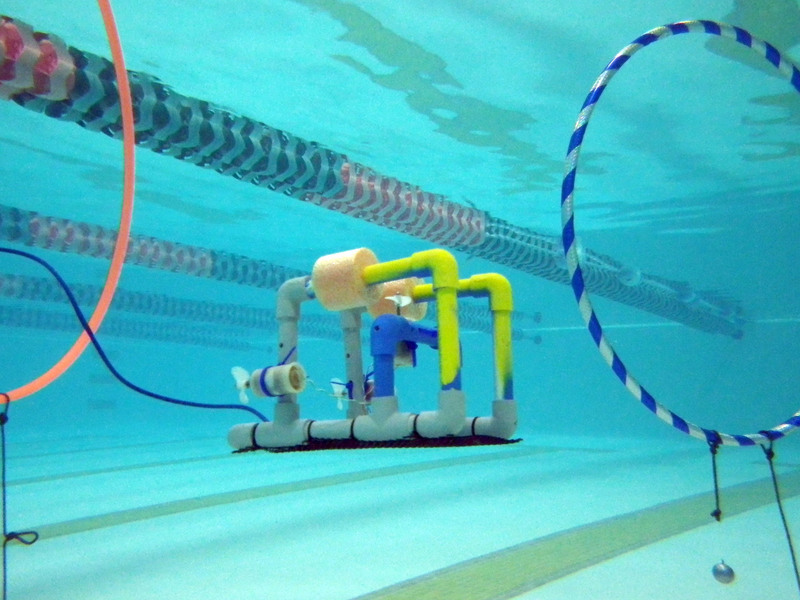 MATE offers underwater ROV competitions where teams from around the world meet to demonstrate their abilities to maneuver their vehicles. The competition is not simply an opportunity to navigate through the waters to determine which robot accomplishes required tasks, but, more importantly, it is a process that requires intensive STEM understandings. Students must “think of themselves as entrepreneurs and transform their teams into companies that manufacture, market, and sell products.” They must prepare technical reports, posters, and engineering presentations that are judged by professionals in the field. One of MATE’s goals is to provide this sort of opportunity for students from all walks of life, ranging from affluent socio-economic groups to disadvantaged socio-economic groups. As a matter of fact, the new movie, Spare Parts, which is soon to be released, reveals this goal achieved! 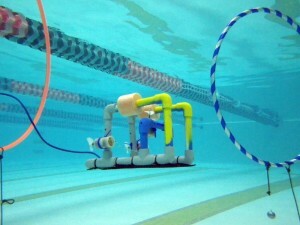 It is based on the true story of the Carl Hayden High School Robotics Team that won the 2004 MATE international ROV competition in Santa Barbara, California. This is only one example of what P-12 school library media centers should be advertising and helping to support. Opportunities for engaged learning in science, technology, engineering, and math are desperately needed in our schools. The MATE website states, “Recent workforce studies conducted by MATE with funding by the Office of Naval Research identified more than 20 STEM-based ocean occupations that are limiting the growth of ocean industries because of the current lack of qualified personnel. At the top of the list are electronics and marine technicians, including ROV technicians; engineers (electrical, mechanical, civil and structural); and computer scientists, including software application developers, computer programmers, and hardware developers.” By developing and supporting strong STEM movements such as maker spaces, coding and ROV engineering, libraries will be equipping future technicians and engineers that are desperately needed in the work force. I’m proud to say that my grandson was his high school’s ROV team pilot for the 2015 MATE International Competition held in St. John’s, Newfoundland and Labrador, Canada. He is fortunate to have had this opportunity, and I hope more middle and high schoolers, no matter the school’s level of affluence, can participate in such positive STEM experiences in the future.